Zeelandia Ltd is part of the Royal Zeelandia Group, serving the professional baking industry around the world with high quality baking ingredients. The company was established in 1900 in Holland and has been operating in the UK since 1956. In 2017 James Fleming & Co a company with over 150 years of experience in the production of jams, caramels and mincemeats became part of the Royal Zeelandia Group. When H.J. Doeleman founded Zeelandia in 1900, the company’s core business was to produce rusk jelly for local bakers in the Dutch coastal province of Zeeland. Over the following decades, the company steadily expanded its portfolio and international scope, earning the designations ‘Purveyor to the Royal household’ (1925) and ‘Royal’ (1950) along the way. Today the company is still owned by the Doeleman Family. Proudly independent and ambitious, it’s inventive and courageous approach has seen it grow into a truly global company. Zeelandia has a product portfolio that covers thousands of products and services, and is continually renewed and finetuned to reflect the latest consumers trends and technological possibilities. Close personal involvement with our customers has always remained at the heart of what we do. This is reflected in our global network of local Zeelandia companies. 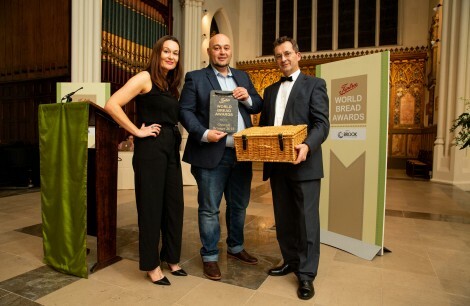 Zeelandia are delighted to be involved with the Tiptree World Bread Awards with Brook Food and proud to be sponsors of the Wholegrain category.